and accessories, handcrafted in England and in selected European workshops. 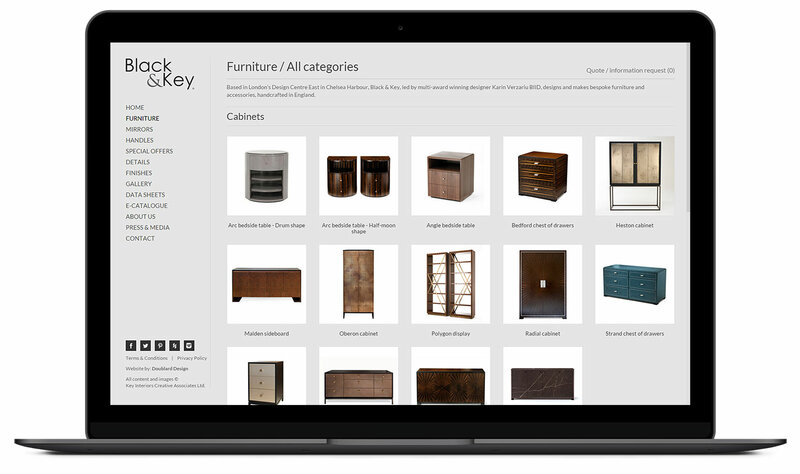 Black & Key wanted us to help bring their website up to date, be driven by a content management system so that individual categories and products could be uploaded and enquired for. This bespoke development makes an additional allowance for designers to choose different finishes and handles, to be combined with each piece of furniture. 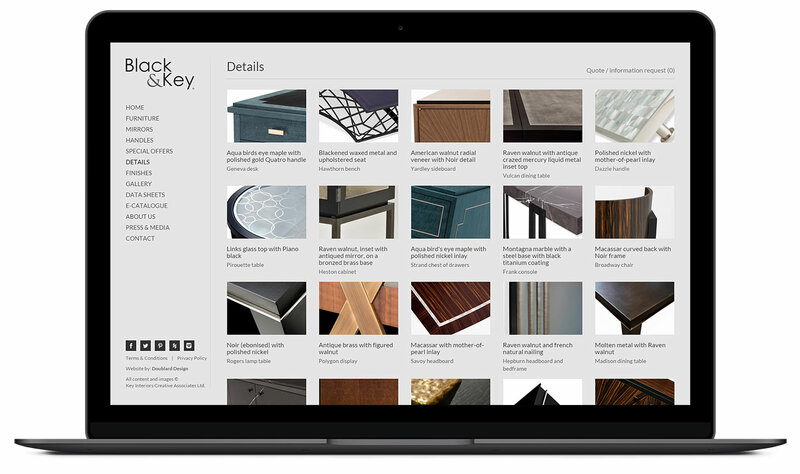 "Doublard Design have created a very complex and - we think - stunning website for Black & Key. 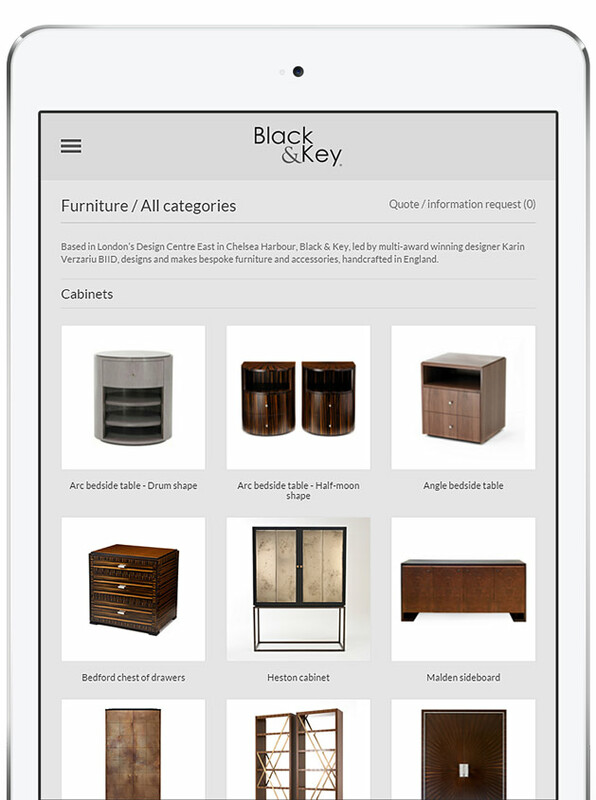 Its best feature is giving us the means to make additions and changes to the site in-house, an absolute necessity for our constantly evolving collection. 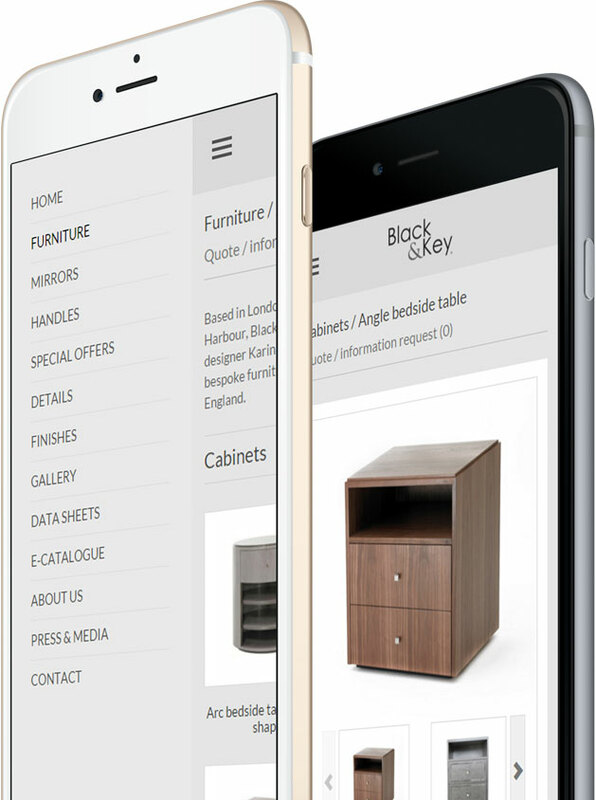 We've seen an increase in enquiries and are very pleased with the new website."